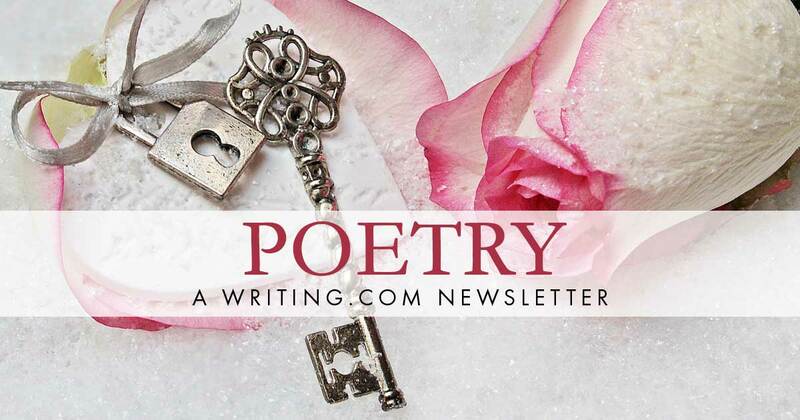 "A poem is a communication from one soul to another that makes one or both hearts sing." Try something new with your poetry. Find a way to shake things up—turn them on their head, so to speak. Today I’ll talk about some ways to do that and share a poetry form that shares in those ways. Do you lean towards rhyming or mostly shy away? Unless you tread on both paths, you may want to try the path less traveled. If you rhyme all the time, try stretching that poetic muscle without using it. Never use meter? Try it out in a poem or two. Use meter all the time? Try some sort of meter you’ve not tried before. You’ve tried iambic, trochaic and anapestic, now try spondaic and dactylic. Maybe even take a stab at pyrrhic. Mostly work on spooky themes and dark topics? Try out nature or comedy, or even a children’s poem. Do you like to lilt love poetry? Try spiritual instead. Like poetry forms? Try mashing two into one! Try mixing a limerick with a sonnet. Maybe mix a lantern with an ode. Not sure what to mix or match? Throw a bunch of poetry form names in a hat and start picking two and start creating some mash ups (my own name for this type of thing)! If you want to try one out for size before you play around with them, see the form below. Haibuns have been around for more than 300 years. They are a mash up of two forms: haiku and prose poetry. The Japanese poet, Basho, didn’t create them, but he wrote many during his lifetime and was one of the first few to write them. --Merge prose & haiku poetry. --Both prose and haiku should add depth and meaning to each other while also being able to stand alone on their own. COULD HAVES or WHAT IS THE POET’S CHOICE IN ALL THIS? --Number of stanzas—depends on how many haiku you incorporate into your haibun. --Number of haiku to incorporate. Normally one, maybe two, but it is your choice. --Start with either the prose or the haiku. --Number of words: Micro Haibuns usually have a max of 200 words or less, but standard Haibuns are as long as you’d like them to be—just make each word count. Drury, John. the po.e.try dic.tion.ar.y. 2nd edition. Cincinnati: Writer's Digest Books, 2006. Print. Turco, Lewis. The Book of Forms. 3rd. Lebanon, New Hampshire: University Press of New England, 2000. Haibun for the Third Son of Slam Contest. A diary was found, frozen in ice. by Dr Taher writes again! A haibun for "You've Got Character!" A haibun for writer's cramp about a monkey & bananas....not what you might expect! Have a question, answer, problem, solution, tip, trick, cheer, jeer, or extra million lying around? If so, send it through the feedback section at the bottom of this newsletter OR click the little envelope next to my name RedWritingHood♡WDC and send it through email. Comment: Thank you for posting ideas on getting prompts etc for writing poetry. Generated in 1.09 seconds at 12:16am on Apr 24, 2019 via server S30.